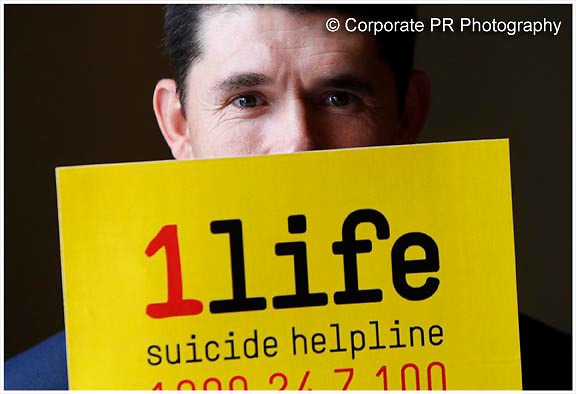 No Fee for Repro:.Padraig Harrington is pictured at the launch of "1 Life", a new 24 hour suicide prevention helpline. 1Life (Freephone 1800 24 7 100) offers confidential advice and support nationwide for callers in need of help. Pic Robbie Reynolds / CPR.